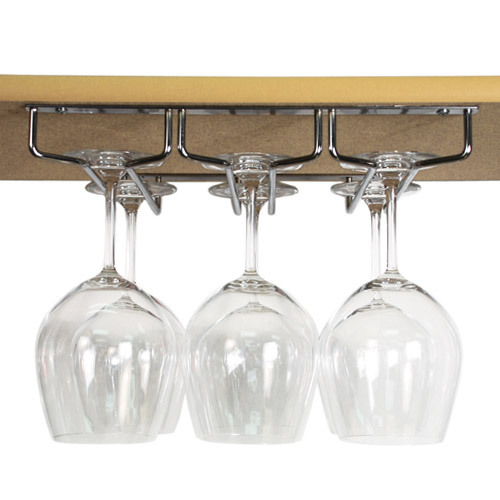 This rack hangs from the bottom of any shelf, cupboard or counter. 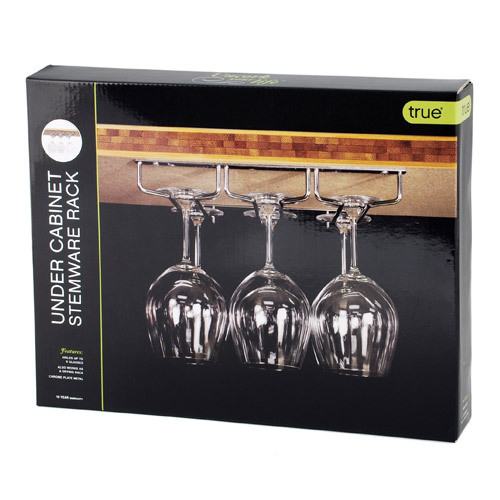 Capable of holding up to 9 wine glasses, the chrome plated metal rack also works as an excellent drying rack. Display your glasses in style, or hide them out of view for quick use when the occasion calls.